It’s time for our first WVARA meeting of 2018. Please join us this Wednesday (Jan 10th) at 7pm in Meeting Room 5 at the Silicon Valley Chapter of the American Red Cross, 2731 N. First Street at Plumeria Drive (southwest corner) in San Jose. Most of us come in through the side entrance on the southwest side of the building — look for our red WVARA sign on the side where they park all the Red Cross trucks. Cookies will be served, and of course, visitors are welcome! If you haven’t been to the Red Cross, “talk-in” is usually available on the Association’s repeaters, normally 2m/220 are good choices. John Miller will be talking to us about the 2013 K9W DXpedition to Wake Atoll. John has been on many DXpeditions and always tells an awesome story. For the last decade, John has focused heavily on DXing, contesting, and recruiting new operators into the hobby. John is a member of ARRL, INDEXA, MLDXCC, and PAARA. He is Past-President of the Northern California Contest Club, a Director of the Northern California DX Club, a founding member of the CW Operators’ Club, a member of the editorial staff of the National Contest Journal, and a Director of the Northern California DX Foundation. This year, it isn’t just a FARS banquet – we are co-sponsoring the event. Come on out and enjoy the evening! Just be sure to bring cash for the raffle, as the ATM was recently removed. Signup deadline: Postal, January 12, online January 15. The raffle 1st prize will be an Elecraft KX2 transceiver. Summary: Early radio development history including local figures Lee De Forest, Charles “Doc” Herrold and others. 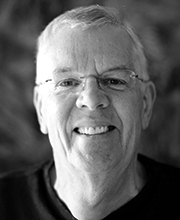 About the Speaker: Mike Adams has been a radio personality and a film maker. Currently he is professor emeritus of radio, television, and film at San Jose State University, where he has been a department chair and the Associate Dean of the College of Humanities and the Arts. Adams has taught at the Shanghai Theatre Academy School of Television and Film. As a researcher and writer of broadcast and early technology history, he created two award-winning documentaries for PBS, the Emmy-nominated “Radio Collector,” and “Broadcasting’s Forgotten Father.” Mike is the Board Chair of the California Historical Radio Society, CHRS. For his service to historical radio research and publication he received the AWA (Antique Wireless Association) Houck Award, the SCARS (Southern California Historical Radio Society) President’s Award, the TCA (Tube Collectors of America) Stokes Award, the RCA (Radio Club of America) Ralph Batcher Award, and he was named a CHRS History Fellow. He has had published numerous articles and six books, including Lee de Forest, King of Radio, Television and Film, 2012, Springer Science, The Radio Boys and Girls: Radio, Telegraph, Telephone and Wireless Adventures for Juvenile Readers, 1890-1945, McFarland Press, 2015, and Columbus Radio, Arcadia, 2016.